As a business owner, or human resources manager, you may not have all the time it takes to focus on the details of payroll processing. After all, you probably didn’t go into business to manage payroll and human resources. Many employers choose to outsource payroll because they’re not experts on calculating overtime, paying employees who work across multiple states, or checking to make sure payroll taxes are paid and reported on time. When you outsource payroll to a payroll company or PEO, it frees up your time to focus on the other responsibilities that come with running a business. Here are four ways a payroll company or PEO can save you time and money. You have not paid an “employee” correctly and may have missed overtime wages. You have not recorded work time correctly. You have not filed the appropriate federal and state tax forms. You may not have made appropriate contributions to retirement plans. You may not have given employees the appropriate benefits notices and statements. You may not have been paying appropriate workers’ comp premiums. Ecos Homecare Inc., was ordered to pay $213,461 for overtime and recordkeeping violations. American Classic Construction Inc. was ordered to pay $310,000 for overtime and recordkeeping violations. Meers Store & Restaurant Inc. was ordered to pay $335,687 for willful violations of minimum wage and overtime provisions. Synergy Commercial Service LLC was ordered to pay $351,869 for minimum wage and overtime violations. Partnering with a payroll company or PEO, can help eliminate the need for your staff to learn pay laws for various states which saves you time. You also gain payroll expertise which can help keep you in compliance with wage and hour laws. Business owners may not be aware of tax codes, especially if they operate in more than one state. Payroll experts remain up-to-date on tax code changes and can easily correct errors. With a typical stand-alone payroll company, there may be software to help you create your tax reports, but you’re still responsible for filing those reports and paying your taxes. However, a PEO handles tax reporting and filing on your behalf and even assumes the responsibility for accuracy. As you see in the examples above, the penalties associated with wage and hour or tax violations add up quickly and put your business at risk for legal action. When your company works with a payroll company or PEO, these risks are reduced, allowing you and your staff to focus on other issues. PEOs like FrankCrum handle other payroll-associated tasks as well, like wage garnishments, which saves you time and eliminates some potentially awkward moments with your employees. When you’re not up to your elbows in payroll, benefits or other HR administration, you’ll have more time to focus on what matters, business performance and growth. You’ll also save money because your employees will be paid accurately and on time. For more information on FrankCrum’s payroll services, call 1-800-277-1620 ext. 4. 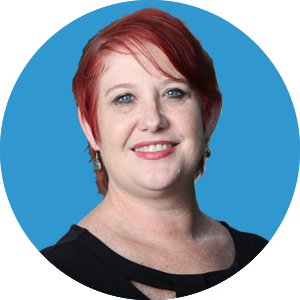 Celeste has over 15 years of experience in payroll and office management. She is the Payroll Implementation Manager at FrankCrum and oversees the team responsible for guiding new clients through the application process. Celeste and her team not only set up payrolls, they also make sure FrankCrum clients maintain compliance on the federal and state levels.